With forty years in the roofing industry, the SeamSAFE founder is intensely aware of the hazards and safety concerns of installing and repairing roofs. Doug knows first-hand that roofing professionals face among the highest risk of falls and fatalities in the construction industry, which is data reported by the Center for Construction Research and Training. A number of years ago, a significant fall during a metal roof installation almost took his life. 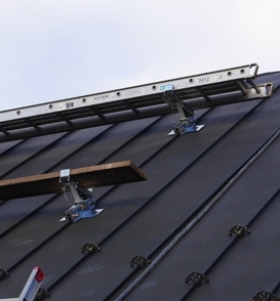 This dangerous plunge inspired him to develop a superior, easy-to-use product that keeps roofers safe by stopping the risk of falls when working on standing seam metal roofs. 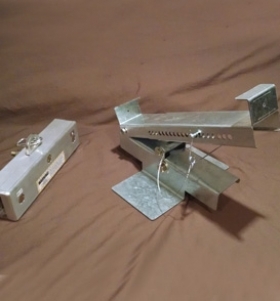 With extensive research, design trials and field testing at Virginia Tech University in Blacksburg, Virginia, Doug patented and introduced SeamSAFE roof anchors, which set a new standard for roofing safety and versatility. To learn more, click here: SeamSAFE Anchors and Brackets. The portability and quality of his inventions appeals to roofing contractors and companies of all sizes – across the country and around the world. Even NASA uses the SeamSAFE anchors that Doug invented. For more information and interviews, Doug can be reached by phone at 540-537-4648 or by email.